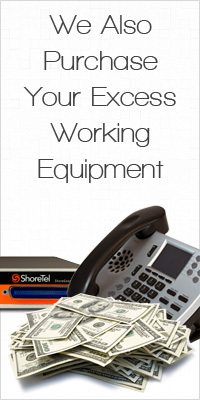 Do you have working telecom gear that is no longer being used? Are you looking to sell your telecom and networking gear or maybe trade it for newer gear? If yes, then you've come to the right place! Whether your upgrading your system, downsizing, or liquidating - we will purchase your working equipment for the right price! We ask you to complete our simple 2-step form below being as detailed as possible. Please clearly list the model, part number(s), quantity, condition, accessories, and any other information that may be important.